The dominant narrative about the European Union over recent years has been one of fragmentation. Indeed, there are visible signs of a union struggling to mobilise collective action – on eurozone reform and European security, for instance – and even crumbling, with one of its largest members, the United Kingdom, on its way out. 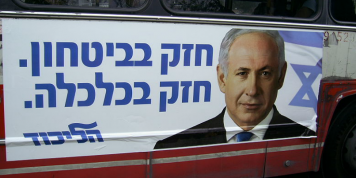 And there are significant portions of electorates in almost all member states backing sovereigntist and anti-EU parties that challenge cooperation under the EU umbrella. Yet there is another story to tell: the story of the breath-taking resilience of the EU even in light of the economic and political crises of the past decade. There is obviously a powerful glue that holds EU countries and societies together. This has prevented the union from falling apart at a time of great stress. In 2015, ECFR set out to better understand what makes EU countries and societies stick together. We wanted to shed light on Europe’s state of cohesion, a theme that has been vital to the very idea of European integration right from its start in the 1950s. We thought that despite the centrality of cohesion to the future of the EU there had been little understanding of the building blocks of cohesion so far. The EU Cohesion Monitor developed to fill that gap is a data-based tool which allows users to better understand the variety of factors that contribute to cohesion – or lack thereof. Its third edition is published this week. The index analyses EU citizens’ experiences, expectations, beliefs, levels of well-being, and voting patterns (individual cohesion), as well as each member state’s economic and political ties and practices within the EU (structural cohesion) in an overall set of 42 factors drawn from official data sources such as Eurobarometer and Eurostat. These factors are clustered in a set of ten indicators. Users can browse the results of this interactive tool to explore a variety of stories of cohesion across the EU, and they can do this for each of the 28 member states as well as for 12 country groups. 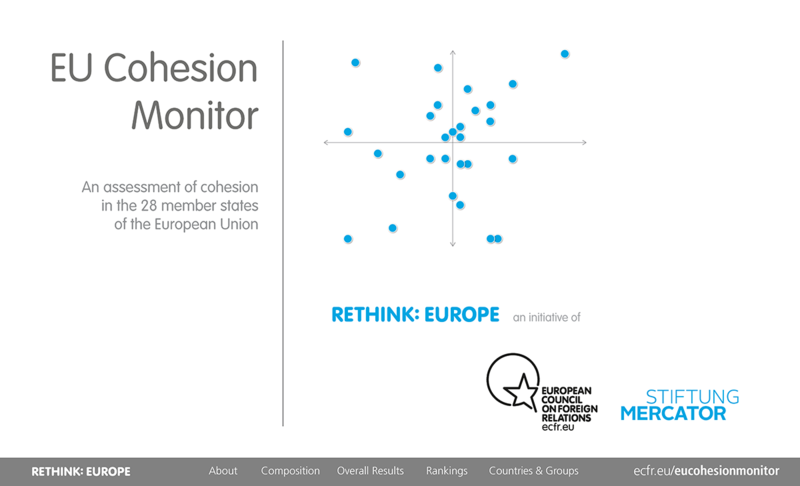 What makes this improved and updated version of the Cohesion Monitor most interesting is that it captures developments in all 28 EU member states over the past decade, shedding light on the ups and downs of cohesion during one of the most formative periods in the history of the EU. Overall, the latest findings of the Cohesion Monitor reveal that the binding forces of the EU have returned to levels of strength not seen since before the pre-crisis year of 2007; and they have in fact become even stronger. Yet, results also show that the electoral successes of anti-European parties mean the political and social environment for cohesion in Europe remains fragile. The data show that each country has its own cohesion trajectory and profile. But some particular results are worth singling out. With European cohesion bouncing back after several years of crisis, 17 out of 28 countries have a higher cohesion score than in 2007, with nine countries growing both in individual as well as structural cohesion. Overall, the level of cohesion is strongest in Luxembourg, Belgium, Estonia, Lithuania, and Malta. Alongside Portugal, Malta is also the biggest overall riser, with Portugal recovering strongly after difficult years between 2011 and 2013. 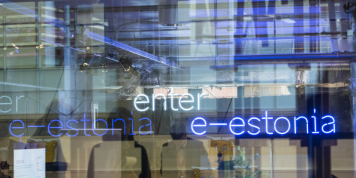 The three Baltic states – Estonia, Latvia, and Lithuania – are outperforming their eastern and central European neighbours, and in part western European countries too on both individual and structural cohesion. 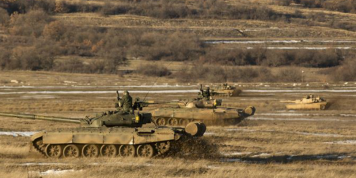 The eastern and central European states made big gains in structural cohesion. Yet the Cohesion Monitor also sheds light on significant losses in cohesion, including in key EU member states. The levels of individual cohesion in Italy and France have declined considerably over the last decade. 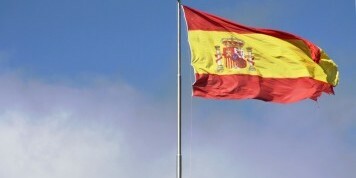 Five countries – Cyprus, Denmark, Greece, the UK, and Spain – experienced a decline in both individual and structural cohesion since 2007. Greece experienced the most dramatic fall in overall cohesion, driven mostly by its collapse in individual cohesion. Even though the Visegrad group (the Czech Republic, Slovakia, Hungary, and Poland) experienced a significant rise in structural cohesion, their levels of individual cohesion fell considerably over the past decade. The effects of the financial and sovereign debt crises and the debate on European migration policy emerge clearly in the time series. The EU Cohesion Monitor shows dips in the individual cohesion dimension for most countries in 2011 and for some countries in 2015. There is a key overall finding that suggests losses in individual cohesion are driven by the ‘Engagement’ indicator. This indicator reflects the performance of Eurosceptic and anti-EU parties as well as the turnout in national and European elections. The new Cohesion Monitor confirms the finding from previous editions that, while structural factors of cohesion have proven to be fairly stable in crises, individual factors show much greater volatility. This in turn means that individual factors of cohesion matter greatly to (re)strengthening cohesion. Attitudes and experiences, as well as the overall well-being of European citizens, should be the main focus of all those interested in working for a more cohesive EU. 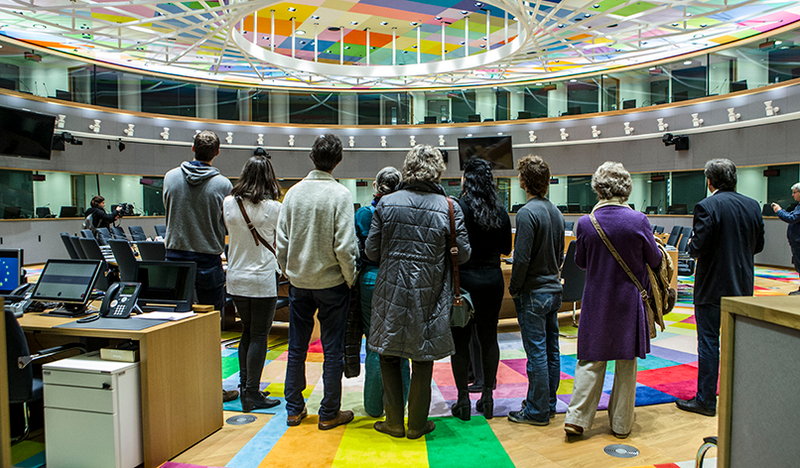 Ahead of the European election in May 2019, the cohesion trajectories of all 28 member states help identify some key lessons about which policies can help strengthen cohesion in the EU at large. Navigation and viewing experience optimised for Adobe Acrobat. 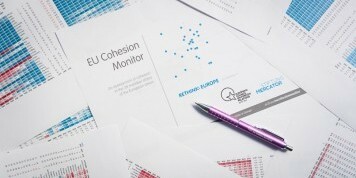 The EU Cohesion Monitor is part of ECFR’s Rethink: Europe data project, which is funded by Stiftung Mercator.